In the insane race to build more and more luxury condos in New York City, the High Line is staking its claim as the scrappy younger sibling of Billionaire’s Row on 57th Street. The latest addition will be an 8-unit, 47,000 square-foot building by “the leather daddy of luxury,” Peter Marino. The new building will be developed by Victor Homes and Michael Shvo. 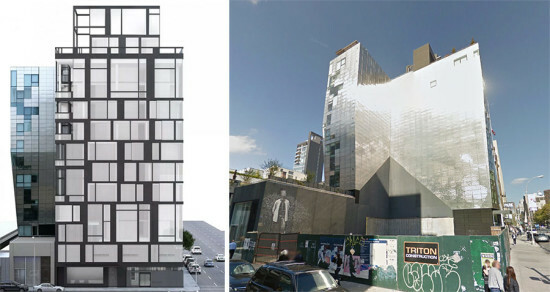 It will be located at 239 Tenth Avenue, at 24th Street, right near the High Line. At first glance, we were nervous that this new structure would abut one of the best buildings on the ‘Line, Neil Denari’s HL23. 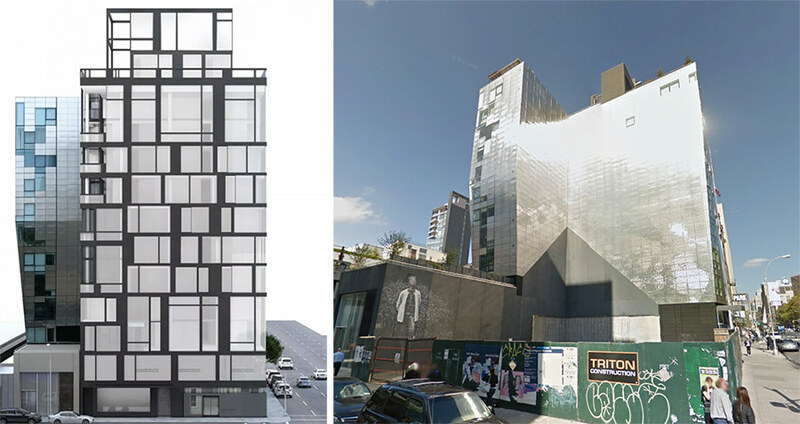 However, the building in the rendering’s background faked us out—it’s actually a very similar building to HL23 at 245 10th Avenue, which straddles the corner lot that Marino’s boxy structure will occupy. What makes this building odd is that it is not a typical Marino design. Usually, “the leather daddy of luxury” dispenses over-the-top, opulent designs that are perverse in their subversion and skirting of the logic of efficient detailing. The initial rendering of 239 Tenth shows little in common with Marino’s flashy and very luxurious interiors and retail spaces. Instead, the facade appears as a flat black grid with uneven yet predictable fenestrations. We’ll be waiting to see the details.